January is a great month to get crafty. I got a wonderful craft box from my daughter for Christmas and it was a scarf printing/stamping kit from Brit+Co. The kit included a jersey knit scarf, fabric paint, a small foam brush, a sheet of sticky foam to create your own stamp and a wooden block for the sticky foam paper. I had plenty of my own solid image large stamps and some mini bottles of fabric paint. 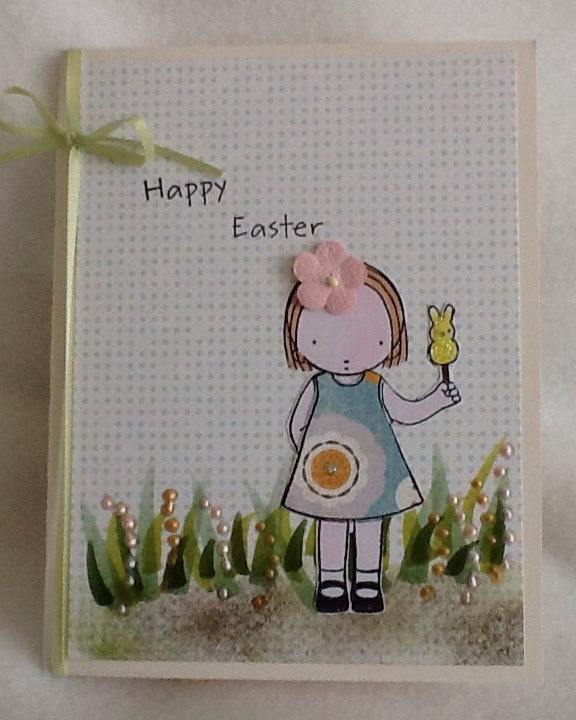 I created my own pattern and colors and stamped away. I learned in the process that the painted stamp does only needs a minimal amount of paint to create a nice stamped image. 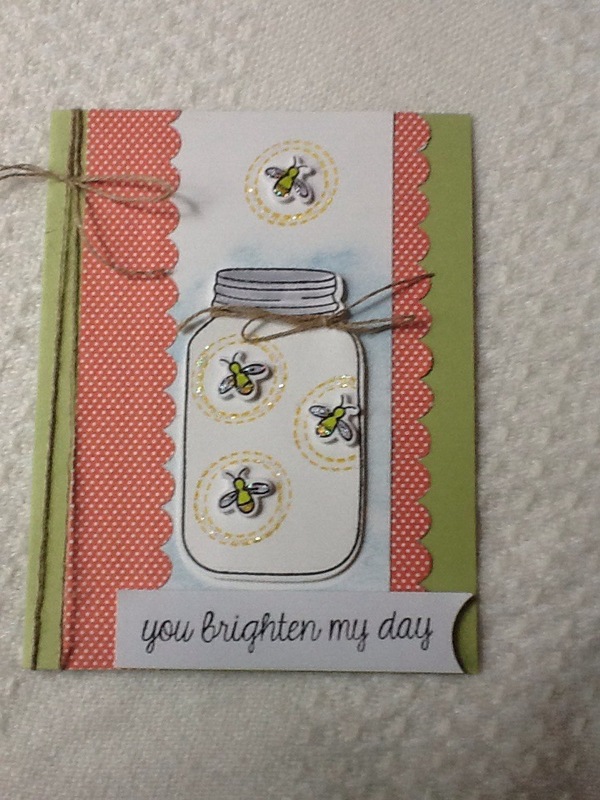 What a great gift and stamping project. 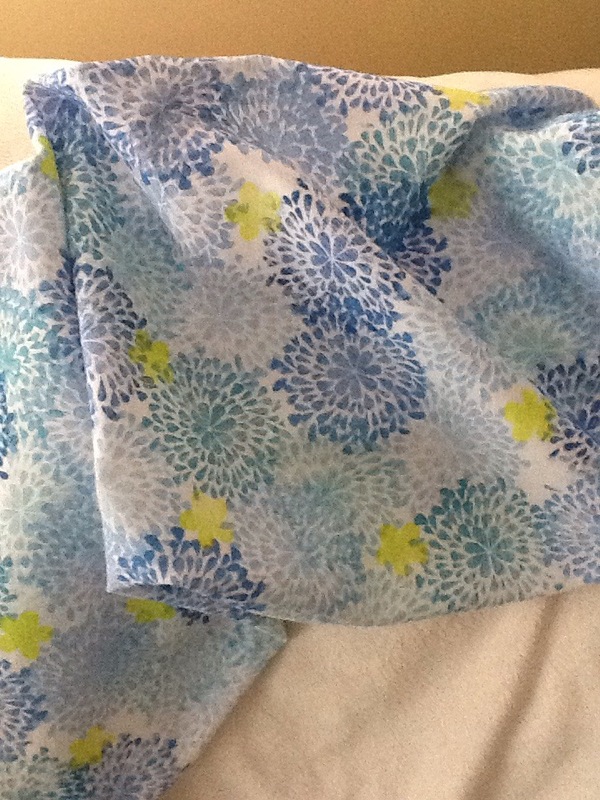 Attached is my finished stamped scarf. I love the way it looks. Every year I create a new calendar to share with friends and use at home. 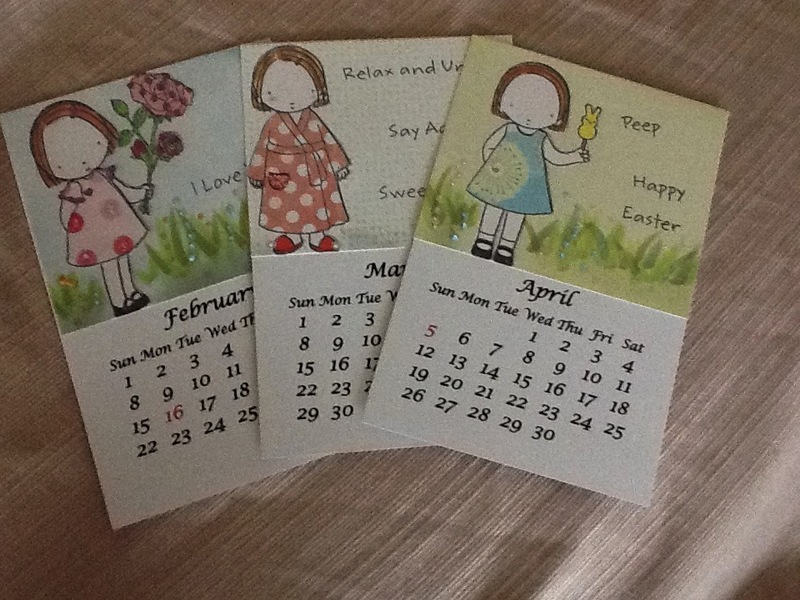 Every printed page is embellished with a stamped image for every month. This year I decided to try something different and used some images from My Favorite Things stamps. After creating an original I added glitter glue and pearlized accents. Check out my newest creations. 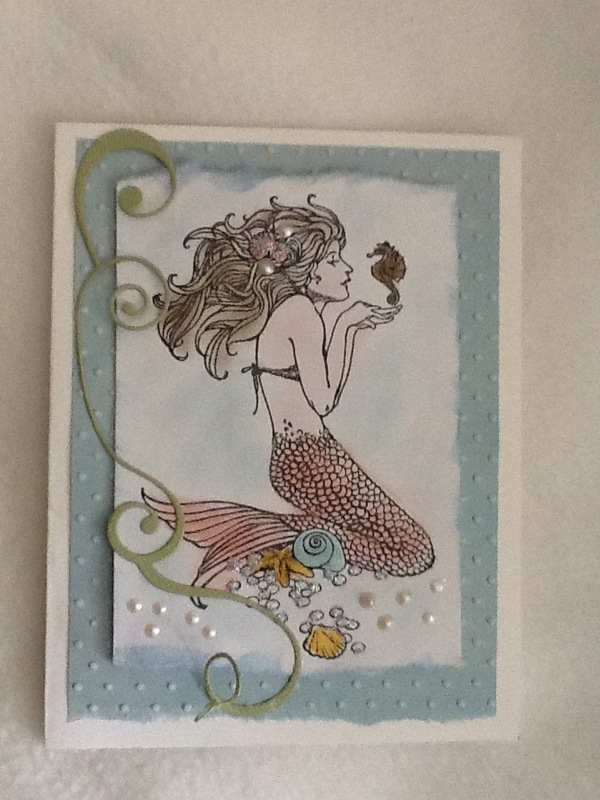 Summer underwater cards using a spritzed ink background, coloring with chalk and a glittery mermaid tail. 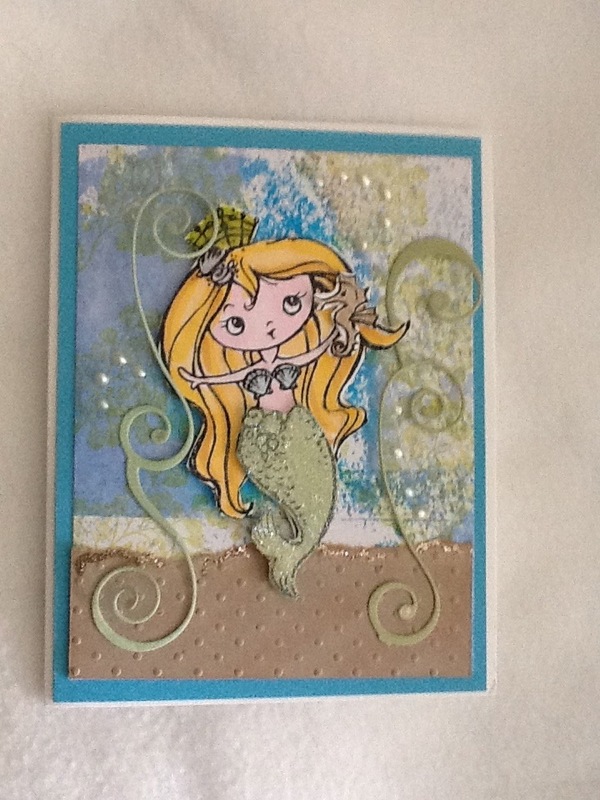 Here is one of my stamped cards for several different occasions. 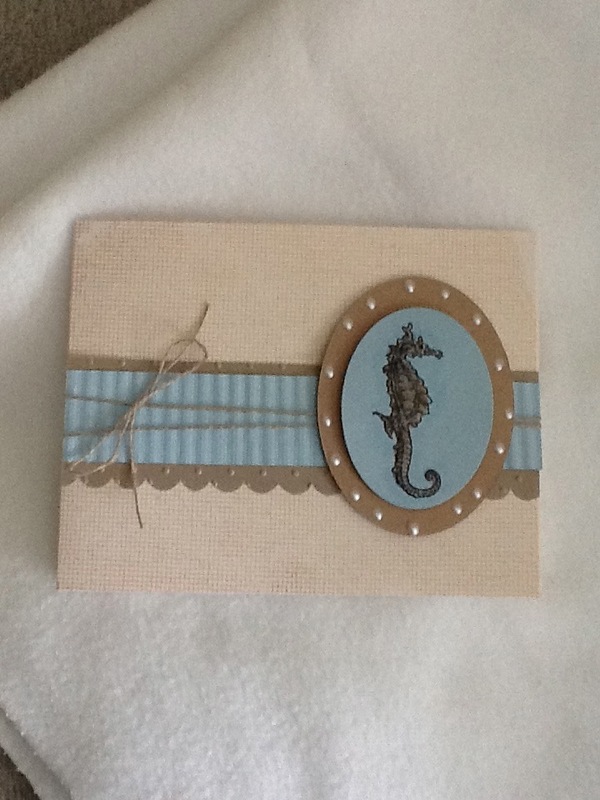 I also enjoy creating projects such a gift bags and tags. Hope you find inspiration as I have from ideas from crafting friends.